Volkswagen and the U.S. government are on the struggle bus trying to agree to a fix for VW’s NOx-spitting diesels, according to a report from Reuters. Volkswagen agreed on a mid-January deadline, so sooner is better than later. It’s been nearly four months since VW’s shameful, smog-generating “Dieselgate” emissions cheat came to light. Volkswagen has been girding its loins ever since, conducting an internal investigation, firing people, being sued by the Justice Department, and changing its slogan. It’s been a rough road. This makes sense. Usually automotive engineers conduct what’s called a Design Failure Mode and Effect Analysis (DFMEA, pronounced “DEEFEEMA”) on every single major vehicle component and system (called “component level” and “system level” DFMEAs). DFMEAs are meant to flush out ways a device could malfunction, and they’re not something you do in a couple hours. Usually, large teams get together and brainstorm failure modes, the effects of those failure modes, and severity of those effects. With a bit of math, DFMEAS result in top system and component risks, which engineers use to develop mitigation and test plans. Any time a major part gets added to a vehicle, a DFMEA must be created or an existing one must be revised. It’s all a long process that involves much discussion with design teams and release engineers and far too much time looking at Excel spreadsheets. We don’t know exactly how Volkswagen is planning to fix its cars, but Reuters previously reported that the fix for the European 1.6-liter engines is a mesh fitting in the air cleaner to straighten air before it gets to the mass airflow sensor. That should be a very quick fix. Designing and manufacturing the parts, packaging all that equipment, building DFMEAS, devising test plans and conducting those tests in a matter of a couple months is a downright daunting engineering task. We’re talking Three Weeks Of All Nighters-daunting. I’m glad I don’t have to do it. Devising a solution is hard enough, but now Volkswagen is allegedly talking with U.S. governmental agencies about its proposed fixes, and it’s not going so hot. VW is meeting with the California Air Resources Board this week, and CEO Matthias Mueller will talk with the Environmental Protection Agency next week. 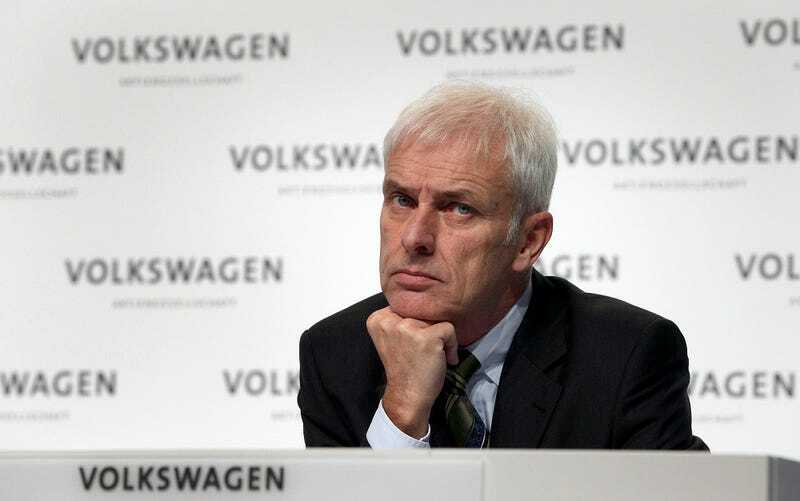 VW hopes that, after those talks, the groups come to an amicable agreement by the mid-January deadline. Reuters says the struggle to agree to a solution is a result of U.S. regulators’ lack of confidence in Volkswagen. If that’s true, Mueller is going to have to do some sweet-talking to get his company back on its feet.